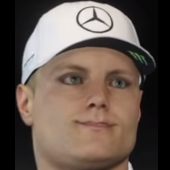 In career mode on F1 2018, I’m at the level 90 but I want to change for 92 or more. Where I can change this level? I know on the opus 2017, you can change between to race. After the Race in the loading Screen to the next Session you must push you're Options Key. This year its only possible in the loading screen between raceweekends and not before every session. Its discussed in the forum already and lets hope CM will change this but atm you are stuck with the AI-level you have choosen for the whole weekend.